“It is with our deepest sadness we must announce the passing of Christine Marie Sweeney on May 20, 2018”. With the utmost respect to obituaries, it has become the final piece left to notify loved ones and after careful thought, many have become formatted over the years to resemble a resume. I can appreciate that approach, but when you find that “one human” that has made such an impact, it is a disservice to exclude the additional color of what they stood for and what they have accomplished. So with that being said, the following is our tribute to Christine Marie Sweeney and her life on this earth. Christine never used her recent illness to slow her down and very early we realized that her time on this earth was coming to a close, it is always about paying attention to the little changes and reflecting on a “comment or action” that comes out of nowhere. In hindsight, after we all play back conversations we have had with our loved ones’ it was right there, we just may have missed it. Christine Marie Sweeney was born to Mr. & Mrs. William Vargo in 1951, Christine learned at an early age that her father’s entrepreneurial spirit would become a piece of her very fabric. She adored her father and he adored her. As she described him, there really could be no greater man on earth and her bar was set high for who would eventually become the love of her life and steal her whole heart. At a young age, Christine watched diligently as her father excelled in real estate, a family grocery store and an ice cream shop that was named “Ripple Cream”. All of this originated by her father and her mother. Christine was always proud and learned early how you can start with nothing and with a little care and attention, you can turn something into anything. Christine’s Uncle or her Father’s Brother (Andrew Vargo) had set off to California with the same determination. This taught Christine that with hard work and passion she would find her own path and purpose. She stayed close to her Uncle and Aunt Anne and cherished their progress in California and how they developed areas to make a mark in this world. Back then we still recall the brown cylinder showing up in the mail with the local newspaper, progress updates on the family and a hidden treasure that was my mom’s favorite-an avocado from the tree she played on. Christine was extremely bright, outgoing and was not only beautiful on the outside but on the inside. She earned what she had in life and gave back more than she received. She loved to sew, cook and do ceramics- only to pass this along to her daughters’. Holidays’ were decorated with treasures that were made by our mother and made out of love. Those in themselves were what we remember and cherish to this day. With high expectations and a sense of self-worth, Christine was blessed and soon married the love of her life, Larry E. Sweeney, on June 5th, 1971. She was part of a strong heritage of an Irish Catholic family and was indoctrinated with open arms. She had a dear love for her mother- in- law “Helen”. As of this past year, Larry and Christine would have celebrated 47 years together. As you look back, the two were made for one another and within that following year they were blessed with their first daughter, Jenifer Ann Riley (Sweeney). As Christine found out quickly, she loved being a mother. She became involved in charitable and impactful work to enhance the area that would economically impact the community and her children’s education. Her second son “Lawrence Edward Sweeney Jr.” would be her next blessing and her time and dedication to the St. Vincent de Paul Catholic School would continue through our informative years. Christine’s’ extracurricular activities only grew and Christine valued time. Christine was an integral part of the growth and expansion of St. Vincent de Paul via fundraisers and interacting with the board to further the investment of the education within the private equity firm-this nearly became her full time job. Christine knew that time had value and the monetary components would come with hard work and dedication. She instilled that in her children and taught them an exceptional work ethic. She emphasized putting in the extra mile and explained that this was the only way to our future potential. With limited means, she taught us to appreciate and care for what we had and never take anything for granted. This is a value that stays with all of us today. As her children and marriage grew over the years, Christine held several positions in addition to all of her other activities. Christine was dedicated to fitness and worked at the Scandinavian Health Club as a trainer in Elyria, Ohio, She complimented this commitment with her love of gardening. Christine later evolved into a sales role within the JC Penney Corporation in Elyria, Ohio where she held a variety of positions, each one ultimately ended with her obtaining corporate recognition that was repeatable year after year. This led to a variety of promotions’, but ultimately Christine wanted more and a newer challenge. As the economy changed, families put the needs of their own children before their own, Christine’s intellect allowed her to move into the Elyria Postal Service as a mail carrier while transferring to the North Ridgeville Postal Office ending her carrier as a supervisor and was a member of Elyria Cascade Branch 196. Christine and Larry were blessed with another daughter, Lauren Christine Sweeney during this time. As you mature in age, perspective shows you that time can go by quickly and she was upfront and present all the way through Lauren’s Life. Her daughter Lauren was her crowning jewel. As we look back our parents truly sacrificed to give each of us every opportunity that they could. With the little time that they allowed themselves, both Larry and Christine shared a love of the islands, the water and boats. All things that were major backbones that each of their children experienced at different levels as we grew up. Her passion of cuisine and having simple picnics even if it was at a marina or the beach are things that our some of our most memorable moments. As you read this obituary and it continues-we have moved away from the resume and are talking about who this women was and the mark she left on this world. She believed in something from the heart and things that have meaning. She loved and loved hard. She was a worthy adversary in our informative years but was opened minded to talking through things as we grew and was open to learning new things. She would work tirelessly to provide for our family during the coldest months in history and did not complain. Christine’s way of allowing us to be “us”, opened her up to travel and expanded her way of thinking. Her children were strong willed and curious. They were never one to stay in a place to long for the fear of not seeing what the world had to offer. We learned that we had no fear, and we learned that from her. This portion was almost to her dismay. Christine visited multiple countries with her husband, daughters and grandchildren. She spent time with Lauren through her college career, playing soccer and supported her through the highs and lows of all that she experienced during university and beyond. Towards the end, Christine spent some much needed time with each of her children as we suspected or saw some change. She knew this before we did or were willing to accept it. She achieved the pinnacle of her bucket list with my Father this past Christmas by visiting Ireland and spending her birthday in a place they dreamed of for years. As I close these lasts few lines down, it is difficult. It means that it is off the list of items to do. It means that the gravity of this, while it may still be fresh is even more difficult. It will never get easier with time and this applies to everyone reading this who have lost someone that was so near and dear to their heart. Christine is also survived by her brother Robert A. 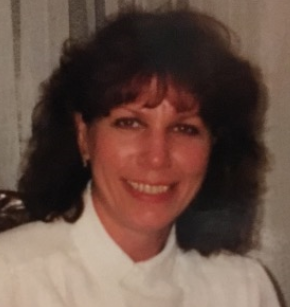 (Maryann) Vargo of Norwalk, William J. (Donna) Vargo of Alabama and Kenneth M. (Juanita) Vargo of Wellington; sisters’ Gloria (Thomas) Tubbs of Colorado, and Brenda (Carl) Leslie of Arizona. Sister-in Law: Jean Tenteris (Ray). Cousins: Alicia Vargo of Orange, CA, Andrea (Larry) Krupka of Orange, CA, 5 Grandchildren, 2 Great Grandchildren and countless cousins, nieces and nephews.